Pulse specialist Dunns (Long Sutton) Ltd and The British Quinoa Company have struck an exclusive three-year processing agreement, underwritten by a joint £50,000 investment to upgrade Dunns’ production line. 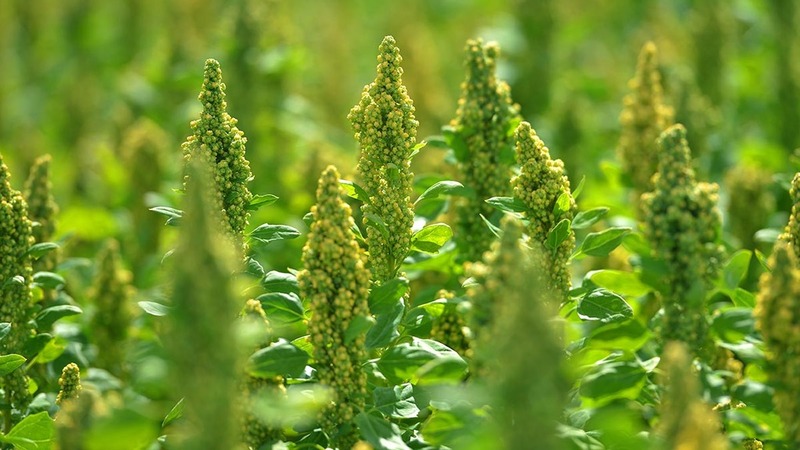 Under the contract, Lincolnshire-based Dunns, a producer of specialist premium quality pulse products for human consumption markets worldwide, will supply processing facilities for all British Quinoa’s output for crop years 2016 to 2018. Shropshire-based British Quinoa, the leading supplier of UK-grown quinoa, will supply several hundred tonnes annually from committed growers across the UK. All product will be cleaned on BRC-accredited production lines and will be marketed by The British Quinoa Company. Dunns trader Franek Smith said the deal would maximise the efficiency of Dunns’ small seed processing. “Lines are currently mainly used for cleaning large seeds such as peas and beans, which means screens have to be changed before small seeds such as quinoa can be handled. “The joint investment will enable us to have a line bespoke for British Quinoa’s product,” Mr Smith said. In addition to this, Dunns said its investment in new colour-sorting technology will provide a significant improvement in the ability to efficiently process small grain crops such as quinoa. “Quinoa is fast gaining a reputation among the British public as a superfood and has the potential to be an important market for us. Our agreement with British Quinoa will enable us to do the best possible job for them,” Mr Smith said. British Quinoa, which started in 2006 on the Jones’ family farm near Ellesmere, Shropshire, has since expanded to include several contract growers. Over the past 12 months the company has been developing its own-brand retail packs which are now making their way into stores across the country. British Quinoa managing director Stephen Jones said the agreement with Dunns was a significant step forward for his business. Mr Jones said he chose Dunns as processing partner due to the company’s previous enthusiasm to help his business successfully develop quinoa as a new British-grown crop. “Dunns’ processing services have been a crucial part of my business, and they were the obvious choice of partner when we were ready to start investing into bespoke processing equipment to take our business to the next level,” he said. VIDEO: Livestock: Have they a place in your arable system?